6 easy weeknight dinners plus a zesty tart! This summery dinner finds the perfect balance between starchy pasta noodles and zucchini noodles. Not to mention, this homemade vegan pesto is not short on flavor, so you might want to make a second batch. 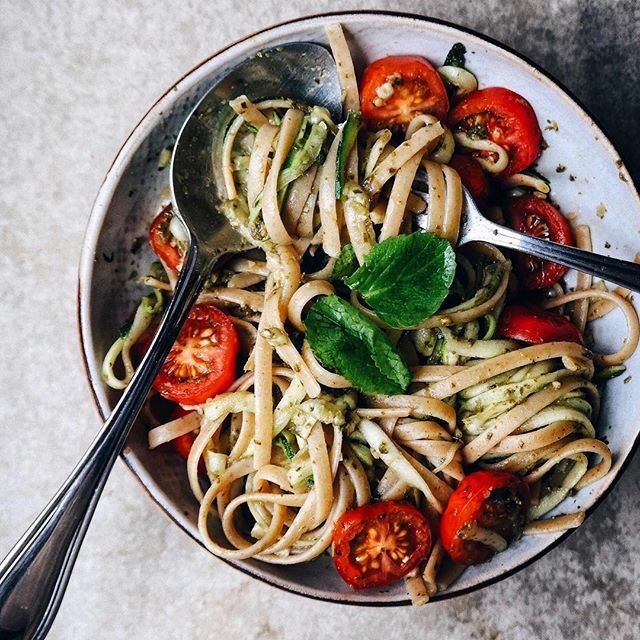 Feedfeed Tip For an extra glossy sauce, go ahead an add a couple tablespoons of hot pasta water after you toss the noodles in the pesto. The starch in the pasta water will take to the noodles, allowing the pesto to evenly coat the entire dish. 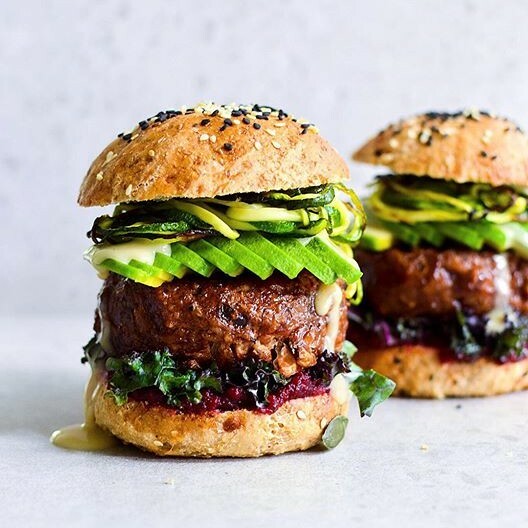 From the hearty bean and rice burgers to the umami-laden tamari BBQ sauce to the layers of classic burger toppings, this dinner is going to become part of your regular rotation. Feedfeed Tip Short on time? Make these patties ahead of time, cook them, and then stick a bunch in the freezer to whip out on a super busy day. Tempeh gets a bad rap, but this recipe is here to change that. 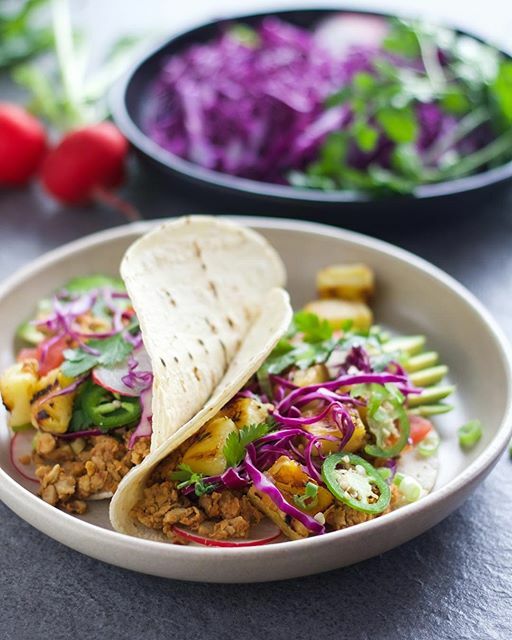 Spicy tempeh crumbles get a kick of sweetness from grilled pineapple chunks, which are all wrapped up into a warm tortilla. Who can argue with that? Feedfeed Tip To get a nice char on the tortillas, go ahead and hold them directly over a gas burner with a pair of tongs until they turn golden brown. 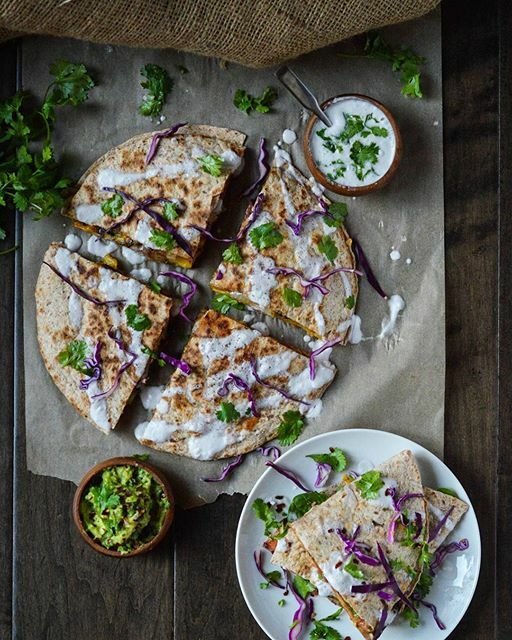 Forget the classic cheese quesadilla, because this is way better. 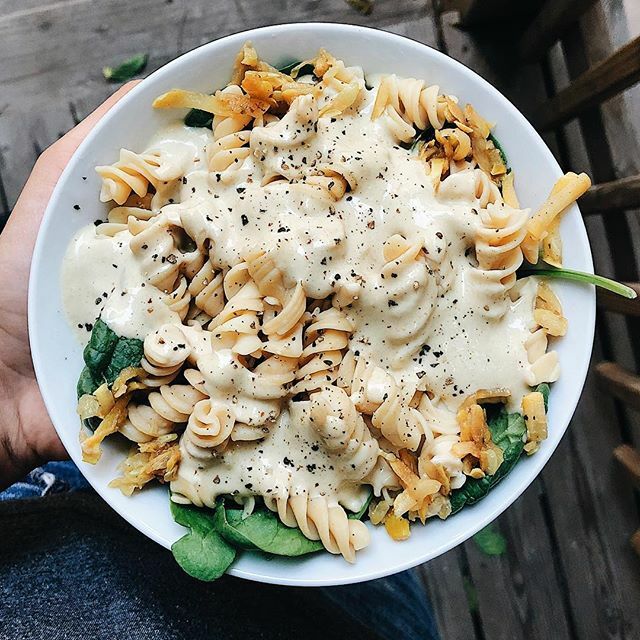 This clever vegan sour cream is almost too good to be true, and the fried plantains are the perfect component to this easy weeknight dinner. Feedfeed Tip Can't find plantains at the grocery store? Head to your local Mexican supermarket, and you'll find them in the produce section. The great thing about this simple dinner is that you likely already have all the ingredients. You can easily riff on the recipe by using your pasta of choice and add in any veggies that you happen to have on hand. Top it with a handful of fresh herbs, vegan cheese, and some toasted nuts, if you like. Skip the frozen, pre-packaged curries and make this spicy number from scratch. The perfect balance of starchy potatoes and hearty cauliflower, this easy coconut curry is something that the whole family can enjoy. 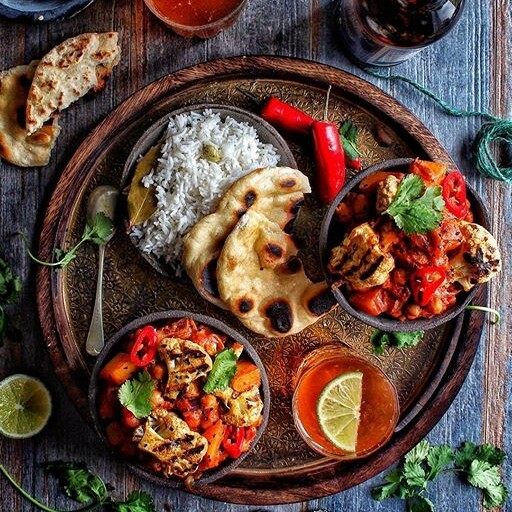 Feedfeed Tip If you're new to cooking with Indian spices, garam masala is a must. It offers an earthy, warm flavor that is unrivaled. We're just going to go ahead and say it–this chocolate-almond crust is the #real #deal. 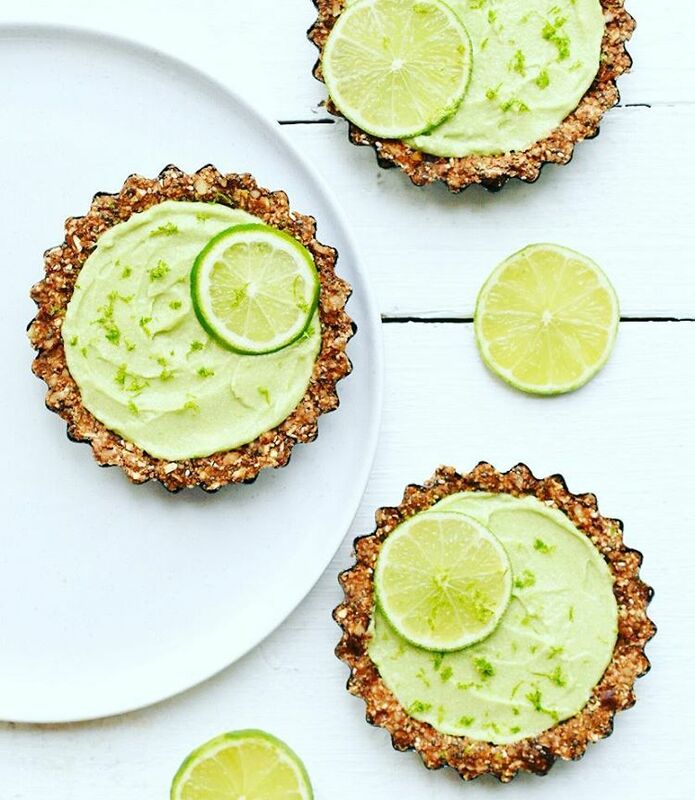 Paired with a tangy avocado-coconut cream filling, this crust is the backbone to a seriously delicious raw dessert.